Wish to stream your MPEG videos over your YouTube channel? Well, you may require converting your files into web standard sharing file format, i.e. MP4. If that’s the case or if you wish to convert MPEG to MP4 for other purposes as well, you have fallen on the correct place. Today, in this article we are discussing about how can one convert MPEG to MP4 format via the best possible way! Let’s not wait any longer and discover the solution for you. The easiest way to convert MPEG to MP4 format is via KeepVid Video Converter, a creation by KeepVid. It is one stop solution to get the MPEG file converted into MP4. There are a great bunch of features attached with this converter tool. More than this, it is multipurpose tool that can give assistance in doing lots of different tasks like video editing, audio adjusting etc. You can use it on Windows as well as Mac computer for its compatibility with both operating systems. Support to convert video and audio files without any limit. Step 1. Start KeepVid Video Converter and add MPEG file from your computer. Step 2. Select MP4 as output, and click the Convert button to start converting MPEG to MP4. 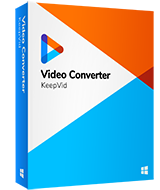 Download KeepVid Video Converter from its official site, and run it after the installation. 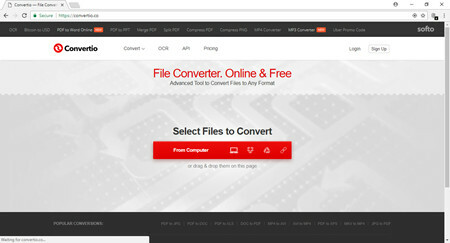 Now choose the Convert section and click the Add Files button to add the MPEG file from your computer. The file will be placed on the middle section of the software window. On the right of the file, you will have “Target” section, hit the drop-down menu icon to select MP4 as an output in the drop-down menu. After you made the selection, click on the “Convert” button to start converting MPEG to MP4 immediately. 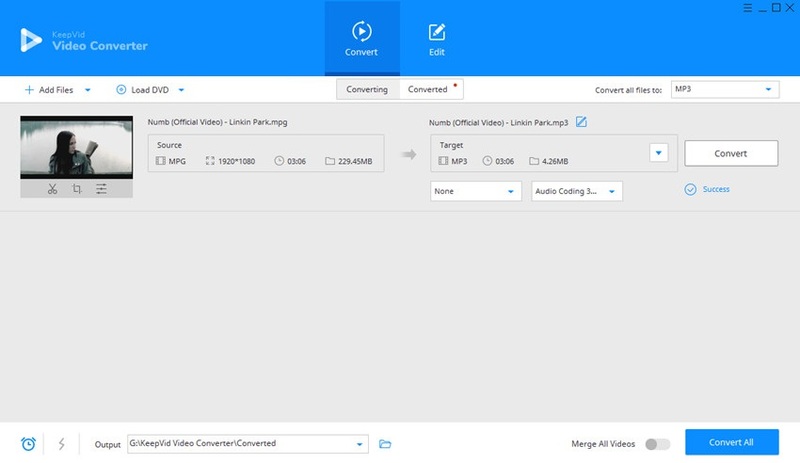 •	You can convert multiple videos in a batch with the Convert All option. • Boost the converting speed by hitting the lightening icon at the lower left bottom. •	Select Same as Resource while selecting output format to keep original quality after conversion. When you want to convert MPEG to MP4 format online, all you need is KeepVid Online Video Converter. It performs really well and provides only a three steps guide to complete the process. When it comes to security, KeepVid Online Converter doesn’t stay behind here too and provides full safety while you use it. There is no requirement to pay any fee to use it. You just require adding your source file which will be MPEG in this case and then choose the target file to get the conversion begin. Within a few seconds, you task will be fulfilled via this online platform. You can also use Apowersoft Free Online Video Converter to make your MPEG videos converted into MP4 formats. This also offers desktop program. For first time users, you need to install its launcher first and then can execute the conversion process. A lot of file formats are supported and you can enjoy it simple and easy interface. 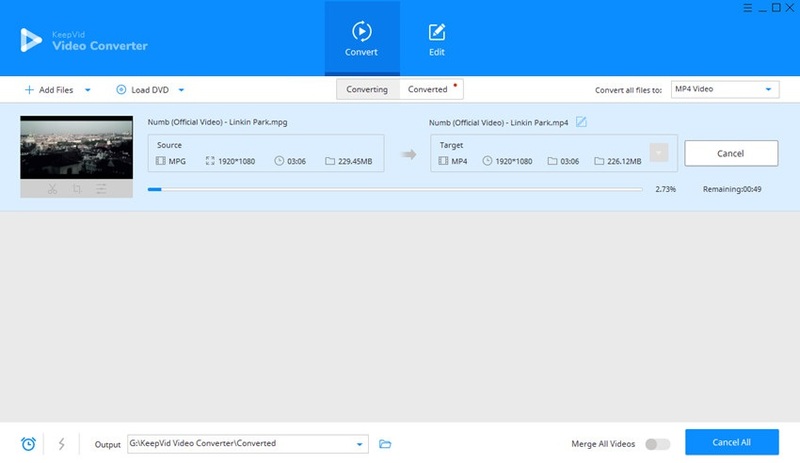 Convertio also promises to be the easiest method to convert MPEG to MP4. Upload, choose and download, these are the three easy steps involved in the process and hence it can be the easy way for the online conversion. You can select the source file from the computer or simply drag-drop the file on the website page. When it comes to converting MPEG to MP4 other than online way, the first tool that should come to your mind is KeepVid Video Converter. It is another creation by KeepVid which promises to offer two versions, one is Windows and the other is Mac one which makes it easy for the users of both operating system to work with this tool. There are millions of users who have shown their favor towards this converter for its commendable work always. KeepVid Video Converter is known to be the most brilliant and a top media file converter tool. Not just converting, one can carry out editing via KeepVid Video Converter as well. 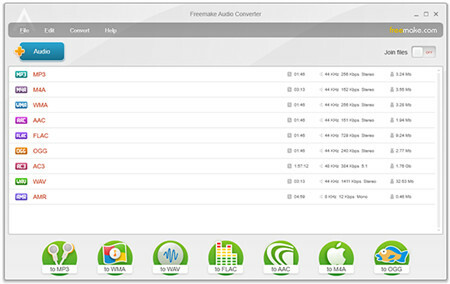 The features for this converter are given below. Convert videos to more than 1,000 video & audio formats. Edit videos with trimming, cropping and many other features. 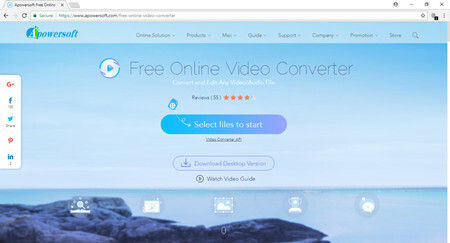 Freemake Video Converter is a desktop program for Windows operating system which is a convenient option to choose for its free and no trial policy. This means you can convert your videos for free and there are no trials or limitation thing with this tool. It takes maximum 3 clicks to get the files converted and hence you can undoubtedly use this tool to convert MPEG to MP4 files. Support more than 500 video and audio formats. Support to convert HD video formats. WinXDVD Video Converter is also made for Windows computer and come with the ability to support the latest Window 10 as well. It is a clean and easy program to use. You can convert between any format you want plus there is an option to grab videos too with this video converter. So, the third option you can try to convert MPEG to MP4 is WinX Video Converter. You only need simple steps to finish the task. Enable you to resize your videos easily.